Sid Meier’s Civilization VI: Rise and Fall is the first major expansion to the 2016 4X strategy game. Rise and Fall introduces the new age system that mimics rise and fall of civilizations over time, along with a new overhauled government system that adds city loyalty and governors. Of course, no Civilization expansion is complete without the addition of a variety of new units, leaders, and buildings. 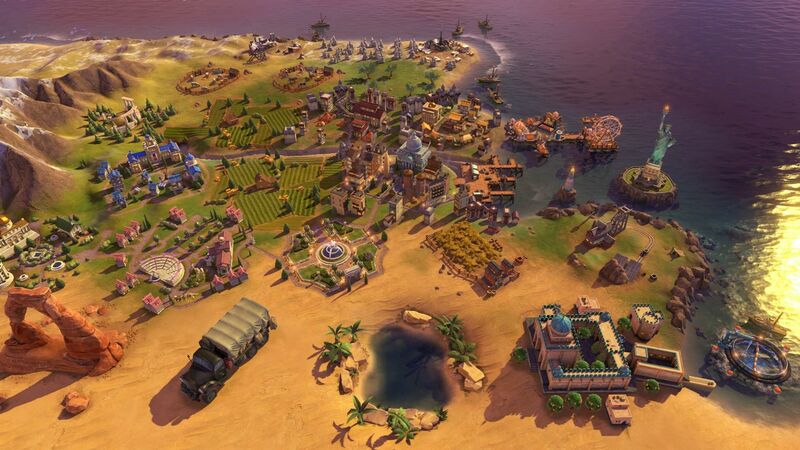 As with the base game, there isn’t much for story in Sid Meier’s Civilization VI: Rise and Fall. There is a lot of writing in the game itself, though. The in-game encyclopedia that provides short tutorials and serves as a reference guide is well written and edited. All the new leaders have small dialogue lines for diplomatic encounters. The lines are solid, and there are even a few that will elicit a chuckle. Sid Meier’s Civilization VI: Rise and Fall’s new government system adds a loyalty meter for each city. Cities too close to cities from other civilizations or too far from friendly cities will suffer a loyalty penalty. If the loyalty meter drops to zero, the city will rebel and become a free city. At this time, other cities from nearby civilizations will begin exerting influence, with the civilization exerting the most influence adding the city to their roster. Governors, government policies, Golden Ages, and certain buildings can all increase loyalty in a city. Each civilization can recruit up to seven governors to raise the loyalty of a city and impart special bonuses. Research in the civics tree will unlock governor titles that can be exchanged for new governors or improve existing ones. Each of the seven governors have their own specialty, so choosing governor abilities and assigning them to the right cities can give a border city a little more peace of mind or help a new fledgling city get off the ground quicker. The new era system tracks all the achievements by a civilization in each age. At the end of each age, players can choose a dedication that will award bonus Era points. Players will need to hit a minimum number of Era points per age to earn Golden Age and avoid a Dark Age. Dark Ages hit players with a severe penalty to loyalty, making their cities vulnerable to rebellion. Being stuck in the Dark Age also provides players with an opportunity for greatness. Special policies will help players dig themselves out of their hole. If the player manages to achieve enough points for a Golden Age, they will be rewarded with a Heroic Age that gives them three Golden Age dedications. Rise and Fall’s Era and loyalty system tightens up the feel of the game. As a casual 4X strategy player, the grand scale of the genre can be a little overwhelming at times. I like how the age system gives a shorter-term goal for me to aim for. At the same time, the ebb and flow of ages adds another layer of strategy to city building and more risk for colonizing new continents. The system also makes border disputes a lot more challenging, as having other civilizations building cities by the border can mean Dark Age will send poorly managed border towns into rebellion. 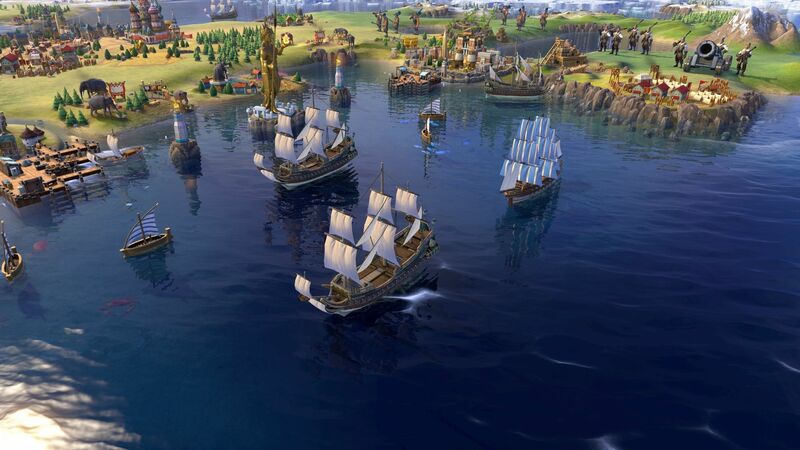 The new expansion adds several new leaders, units, and buildings to the game. Additionally, some tweaks to the diplomacy system has been added. The new leaders are a mix of old favourites and new faces to the series. There are some intriguing options for the new leaders with some interesting abilities. I am a huge fan of Poundmaker and the Cree, as he’s one of the few leaders designed for pacifist victories in mind. The new changes to diplomacy are interesting. Players can now create specific types of alliances for extra bonuses and can declare emergency alliances under certain circumstances. I like the idea of the emergency system, as it gives other players a chance to even the playing field. Players can declare an emergency in response to certain conditions like a nuclear weapons launch. Both the targeted player and the group of players who joined in on the emergency will be given separate objectives, with the winner netting themselves some serious bonuses. The emergency system in practice fell a little flat for me. The current set of conditions needed to trigger one feels a little too restrictive, as it doesn’t provide options for slowing a cultural or scientific victory. The graphic experience continues to be excellent. 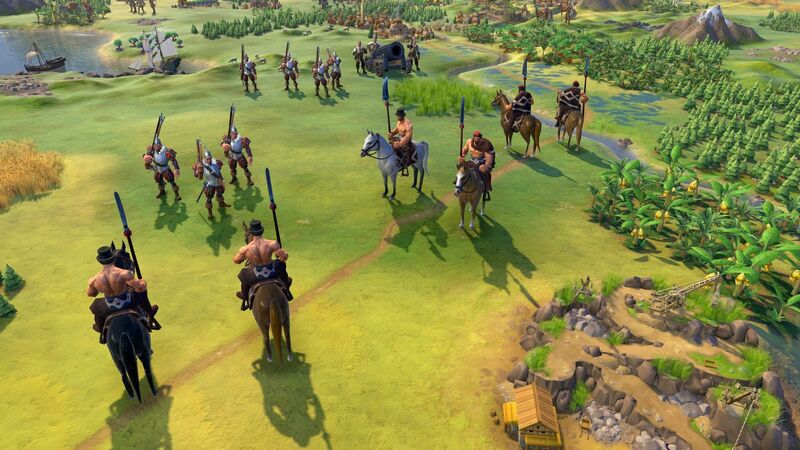 The new leaders, governors, and units fit well in the game’s overall style. The Era system’s UI is visual in nature and conveys important information with a quick glance to the bottom right of the screen. I love the UI colour change that represents the player’s civilization age status. Sid Meier’s Civilization VI: Rise and Fall adds to the game’s already strong audio experience. The sound effects are solid. The new leaders’ voice actors are enjoyable, though it would be impossible for me to judge the actual quality of voice acting as the leaders speak in their native languages. The soundtrack continues to impress. The new music starts with music from each civilization’s culture and slowly begins to fuse it with more traditional, epic sounding video game music as ages continue. It’s a stellar soundtrack that I hope they release in full. 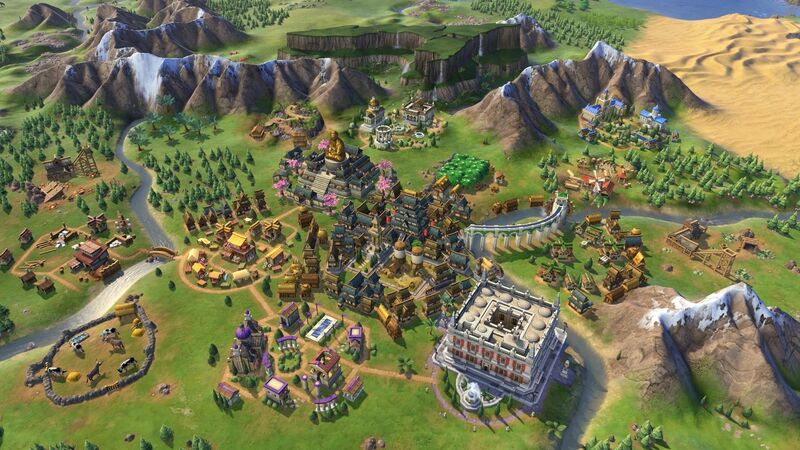 Sid Meier’s Civilization VI: Rise and Fall is a solid expansion. Not all the changes are perfectly executed, and the expansion doesn’t change the gameplay too radically. However, Rise and Fall tightens up the gameplay nicely and is worth a buy. Rise and Fall is an enjoyable expansion that tightens up the Civilization VI gameplay nicely.